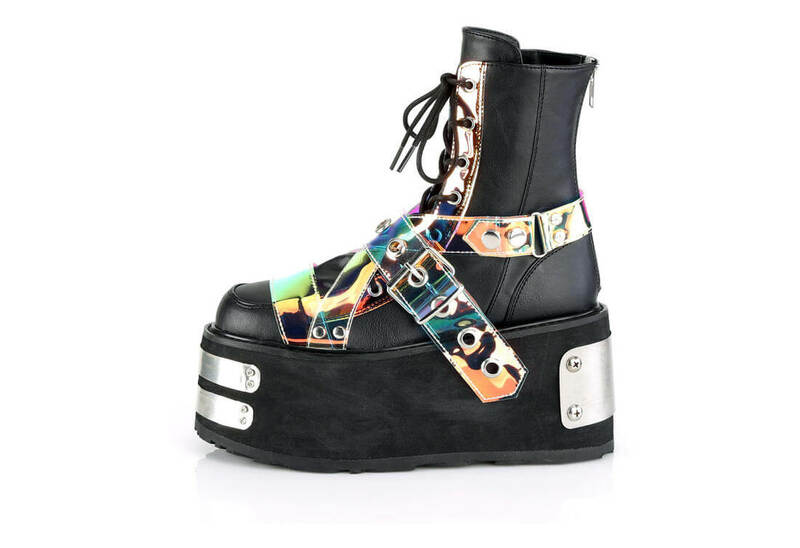 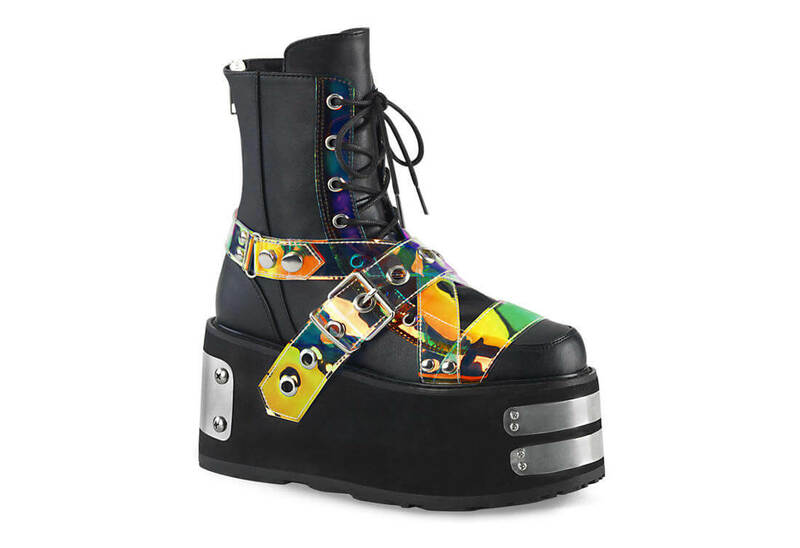 Black vegan leather platform boots with iridescent buckle straps. 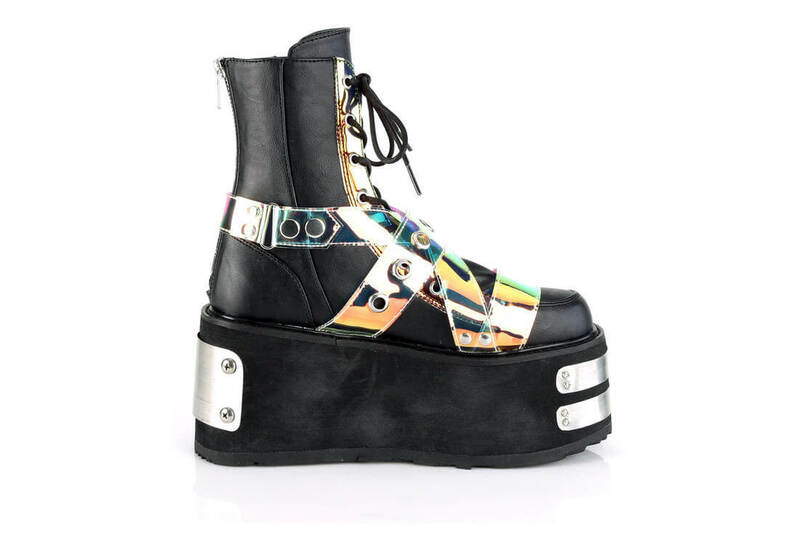 The Damned-116 is a lace-up platform boot with a 3 1/2 inch platform which has metal plates on the front toe and back heel of the platform. 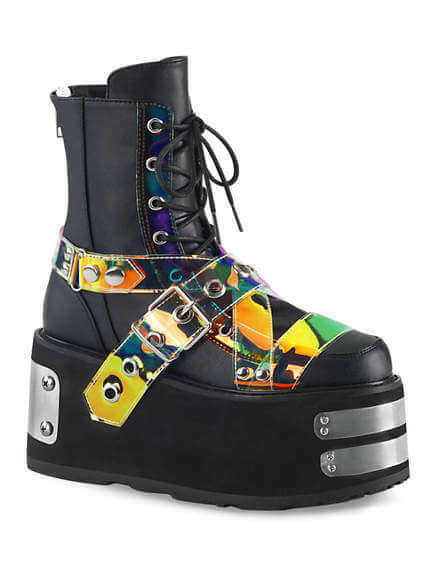 The front has iridescent grommet straps and iridescent trim. 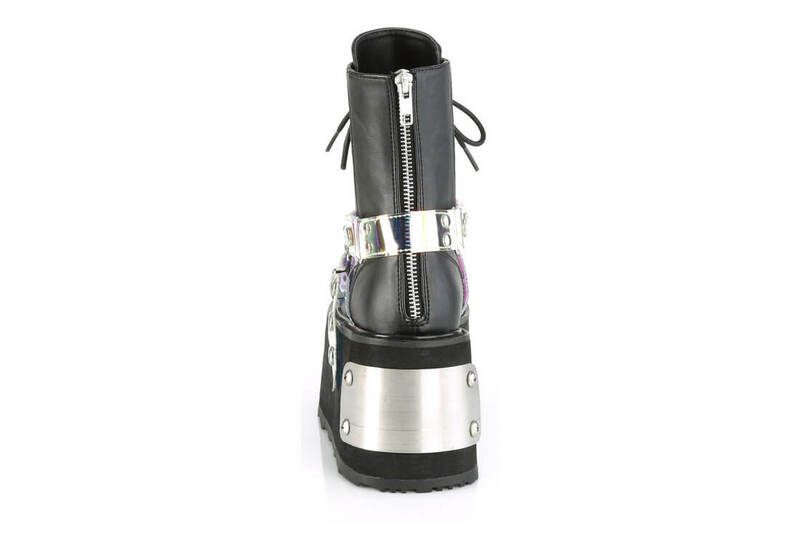 The back has a full zipper making taking these boots on and off easy.